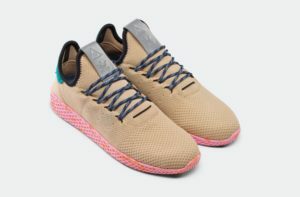 Pharrell Williams continues his partnership with adidas Originals with a new set of colorways for his signature Tennis Hu. 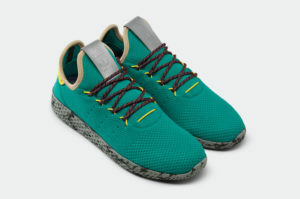 The first release gave a nod to the classic stan smith colorways focusing on greens and golds on clean white upper and midsoles. 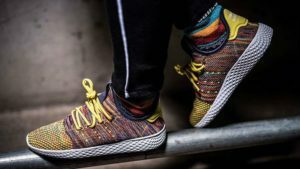 The sophomore release gives a little back to the hype driven multicolor colorways that have dominated colorways for a few years now. 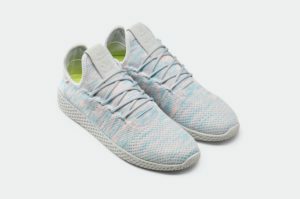 The PW x adidas Tennis Hu features primeknit upper along an waffled EVA midsole. The simple and streamlined look borrows from the Hu NMD but lacks a boost midsole that has become the apex of sneaker comfort. 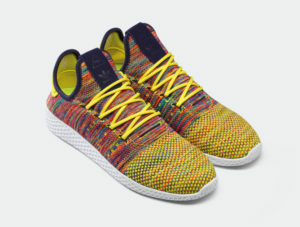 You will get a chance to cop the PW x adidas Originals Tennis Hu Multicolor Pack on Thursday July 27th at 6 PM ET at the links below.